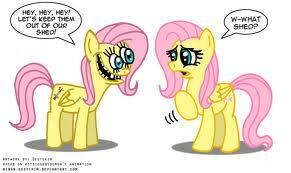 Fluttershy meets Flutters. Shydale. SHED! TIME!. Wallpaper and background images in the Canada24's club.. club tagged: fluttershy.